Mark Maloy is a historian currently working for the National Park Service in Virginia. He is the author of Victory or Death: The Battles of Trenton and Princeton, December 25, 1776 – January 3, 1777, one of the inaugural volumes in the Emerging Revolutionary War Series. He works for the George Washington Memorial Parkway which administers important historic sites such as Arlington House, the Robert E. Lee Memorial. He holds an undergraduate degree in History from the College of William and Mary and a graduate degree in History from George Mason University. He has worked at numerous public historic sites and archaeological digs for the past ten years. Among the sites he has previously worked at include the Frederick Douglass National Historic Site, the Civil War Defenses of Washington, Fort Sumter and Fort Moultrie, Middleton Place Plantation, Fairfield Plantation and Pocahontas’ village Werowocomoco. His interest in history was sparked by visiting George Washington’s Mount Vernon Estate as child. 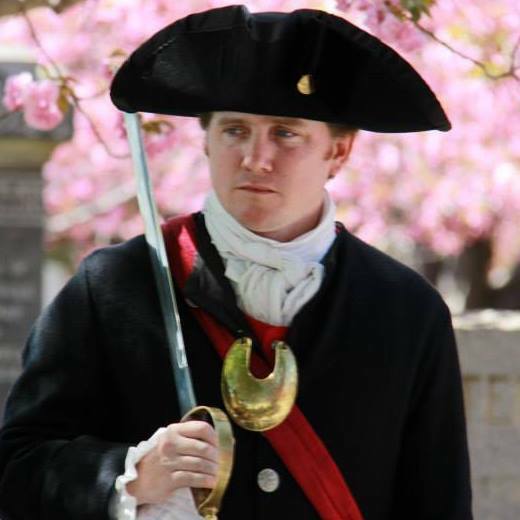 When not working he is an avid Civil War and Revolutionary War reenactor and living historian. He resides in Alexandria, Virginia with his wife, Lauren, and son, Samuel.